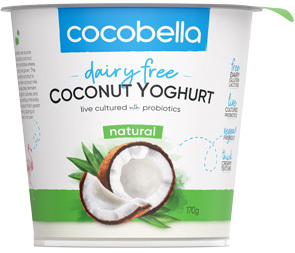 Coconut yoghurt (water, coconut milk, native starch, tapioca syrup, yoghurt cultures and probiotics). Storage: Refrigerate below 4°C and consume within 5 days after opening. For Use By Date see top of lid. Made in Australia from 50% Australian ingredients.